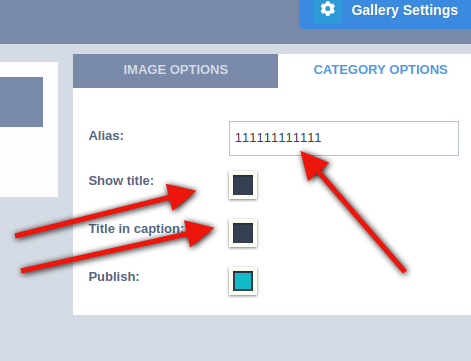 TOPIC: How to remove the Category Title heading ?? Can someone tell me from where i can remove this title ?? I already uncheck the title options in OS Gallery still its coming! Last Edit: 2018/01/04 15:48 By ahsanabrar99. You need add some "alias", and turn off "Show title"
I already uncheck the options but i wish to remove alias (Alias title is showing there that i dont want to show).